Decidedly, mutually reinforcing vehicle technology developments will have tremendous implications on mobility. As Prof. Nick Reed alluded to, the adoption of autonomous vehicles requires technology development that is not exclusive to autonomous vehicles. Balancing the technology development pursuit however involves larger agendas that have relevance to surrounding cities, infrastructure, people and the complete spectrum of the transportation ecosystem. with the ability to respond to any dynamic conditions and surroundings changes. These types of vehicles are what we know today as autonomous vehicles. The idea behind AVs attempts to minimise or eliminate the human element or errors in driving to increase road safety. At the same time, AVs enhance users’ networking and connectivity. 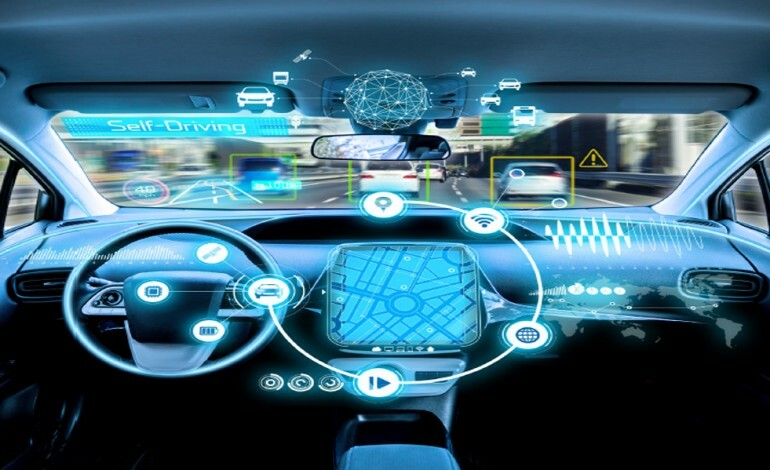 Thanks largely to technologies like GPS, sensors, monitoring system, interfaces such as on-machine, between machines and machine-to-cloud (or datacentre) systems that enable data to be processed as useful information, AVs are changing the car industry on its head. Common vehicle functionalities are being reimagined too—bringing more benefits to consumers and the transportation ecosystem as a whole. In addition, autonomous vehicles will be able to communicate not just with voice and data networks, but also surrounding cars, drivers, and infrastructure. This creates higher accessibility for various groups who are unable to drive, such as the younger cohort, the elderly and the mobility impaired. Even those who may not be able or want to own a private car can move about freely. 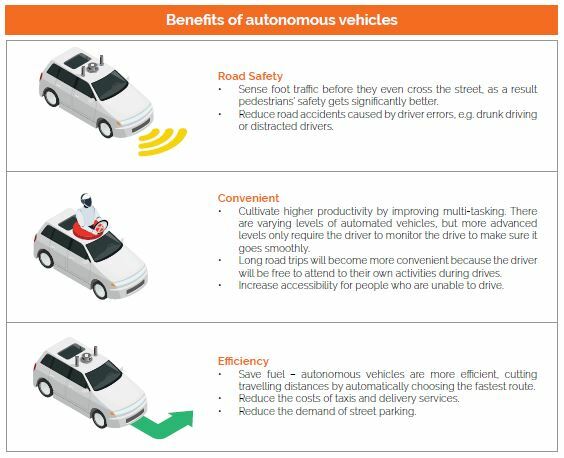 How do autonomous vehicles operate? In general, autonomous vehicles embed advanced technologies and computational systems to recognise changing and dynamic road conditions. 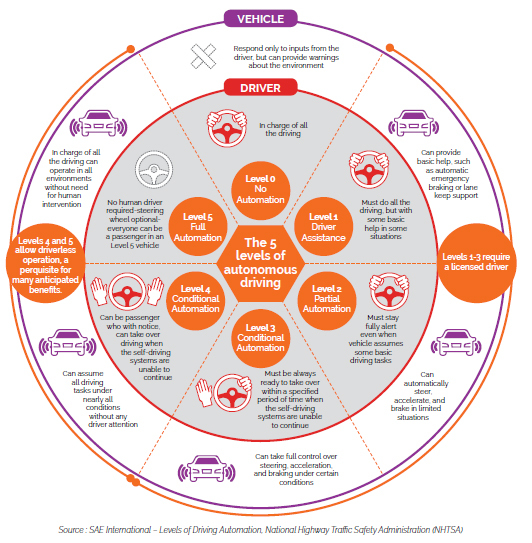 The Society of Automobile Engineers (SAE) defines five levels of autonomous driving, as summarised below. Common readily available technologies that are yet to mature will soon enable vehicles to operate autonomously. 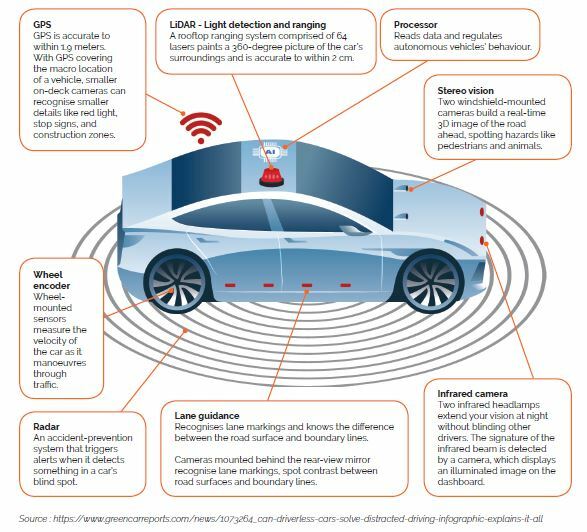 As highlighted below, these technologies will be imbedded in autonomous vehicles’ operation in all environments without the need for human intervention. 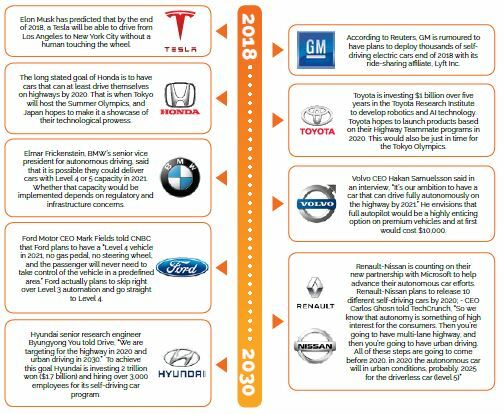 Surely, every industry and business will be impacted by the impending transitions in autonomous vehicle technology. Below is a list of top automakers and their predictions. The race to capture higher R&D in autonomous vehicle technology has long begun around the world. Car manufacturers in particular must accelerate their evolution to compete with other tech companies to contend as pioneers in autonomous vehicle technologies. Dispersed innovation activities being undertaken currently are not just from a select group of automakers. It involves big non-automotive tech companies such as Google and Apple that have vested interests in the growth of the technology too. 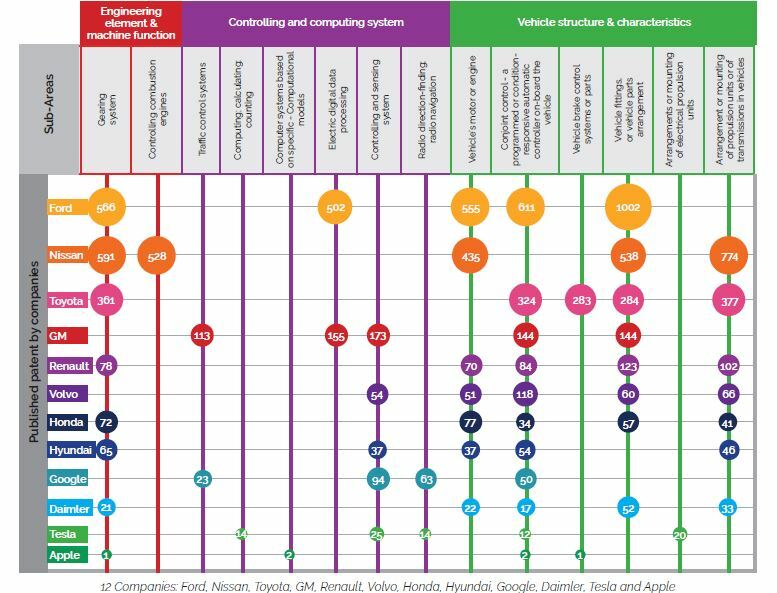 Results also indicated that conjoint control, gearing, controlling and sensing systems are the subareas that most companies find most reflective of the engineering elements and machine functions of AVs apart from controlling and computing systems, vehicle structure and characteristics areas. Undoubtedly, AVs bring benefits that span outside current transportation systems and norms. The technologies being developed to allow autonomous driving can change the whole ecosystem toward a safer, convenient and efficient traffic system. With a clear understanding on the capability of AVs, innovation activities can be carried out with much higher exploratory objectives. In other words, the predictions published by major automakers and tech companies described the intense aspiration of a new-end market built around mobility. Currently, these companies are racing toward creating the ideal technologies to fit the vision. With the help and introduction of advanced technologies, the predictions carved out carry an exponential industry weight. Partly, these predictions offer a look into the possibilities and opportunities that could play out to be a reality in the not-so-distant future. Previous article Ready, Set, Go!